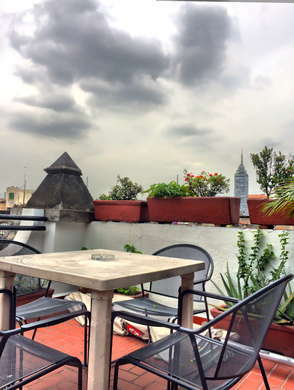 In the heart of downtown Mexico City, just behind the Catedral Metropolitana, this large hostel provides sunny, clean, and comfortable rooms at rock-bottom prices. The terrace and TV room are natural places to strike up a conversation. 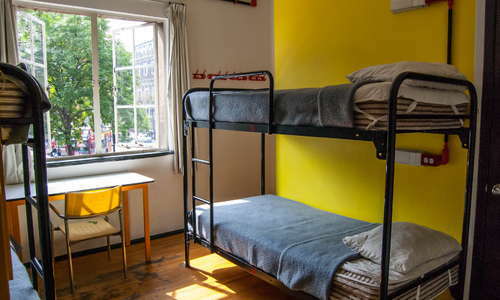 If you're on a tight budget, ask about the shared rooms. Ask about the guided walking tours to nearby cultural sights, like the Sonora "witchcraft" market. 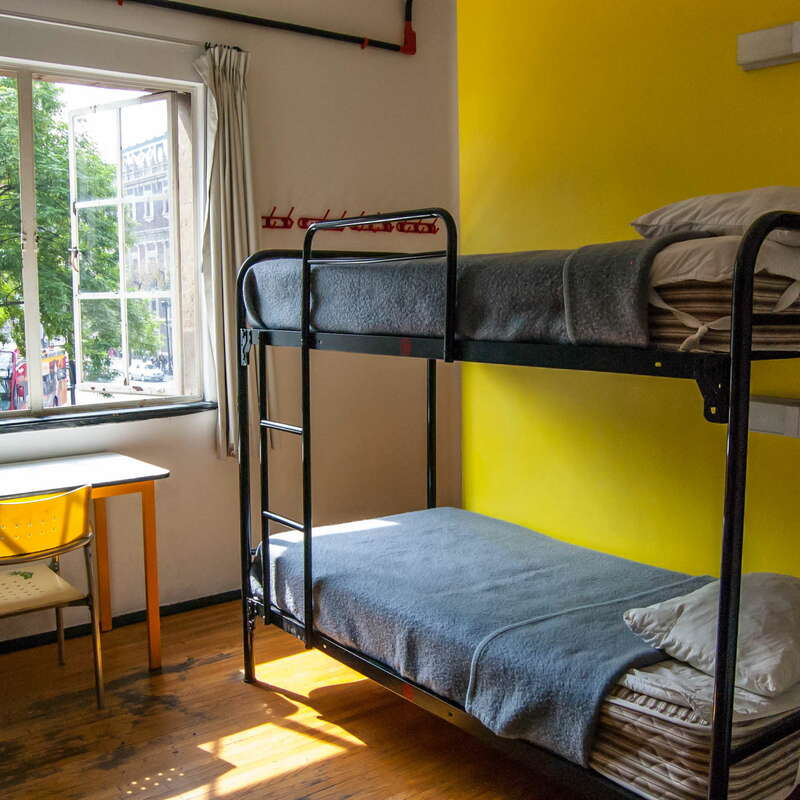 Myriad room options: 4- and 6-bed shared rooms, or private 1- or 2-bed room, with the option of shared or en-suite bathrooms. Varying bed sizes and even suites are available for the private rooms. Shared bathrooms are cleaned often and kept spotless. Some rooms offer shared bathrooms but with en-suite showers. Travelers hanging out in the public areas can be quite social (and, frequently, inebriated), which can be a fun way to meet fellow travelers, or a warning not to linger. The café in the entryway serves inexpensive pastas, sandwiches, and salads. The rooftop terrace often has both planned and impromptu tequila and mezcal tastings. Walk to everything in the Centro, but take a car after dark. Eye tacos may not be your thing, but once you try the suadero (brisket) or cachete (beef cheek) tacos at Taquería Los Cocuyos (14-minute walk), you'll be back daily. Explore the unique cuisine of the Yucatan at Coox Hanal (13-minute walk). Now with several locations around town, La Bótica (7-minute walk) was one of the city's first mezcal bars geared toward a younger crowd. Bar Mancera (10-minute walk) oozes old-school luxury, with both atmosphere and the food menu lost in time. Rock-bottom prices in a central location, with a rooftop view terrace that would be the envy of a luxury hotel.